On August 24th, Blizzard revealed a massive change to Overwatch’s Mercy hero. She has long been considered one of the game’s best support heroes, in large part due to her ultimate ability, Resurrect. This ability allowed Mercy to single-handedly bring up to five heroes on her team back to life at once, abruptly turning the tide in almost any battle. The new update makes a huge reduction to the Resurrect ability, and gives Mercy a completely new ultimate ability. This isn’t a nerf or a buff, but it will change the flow and strategy of the game in some big ways. Some players view Mercy as a no-skill-required hero. 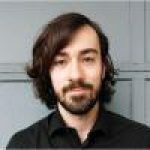 This was never the case, but it’s even less so now – Mercy’s new Resurrect takes the form of a regular ability rather than an ultimate, with a cooldown of thirty seconds and a range of only five meters. She can also only resurrect one hero at a time, and is no longer invulnerable while doing so. With the old Mercy, it was possible for players to stay hidden behind their teams, prioritizing their own safety and playing it safe. For many players, this became a go-to strategy whenever Resurrect was almost ready, to make sure that they would survive to use the ability when it was needed. Mercy 2.0 doesn’t have this option. She has to be close to her fallen teammates to resurrect them, which means plunging into danger alongside her team. She can’t rush in headfirst to save the team, knowing that she’ll be invincible; she has to strategize. She has to assess each situation, and make decisions on who to save. Each time she rushes in to save a teammate, she’s vulnerable. Before she flies in, she has to decide if she can make it back out. Overwatch matches will be more strategic now, overall. Mercy’s old Resurrect ability negated a lot of strategies, since no matter how good a play was, Mercy could undo it. 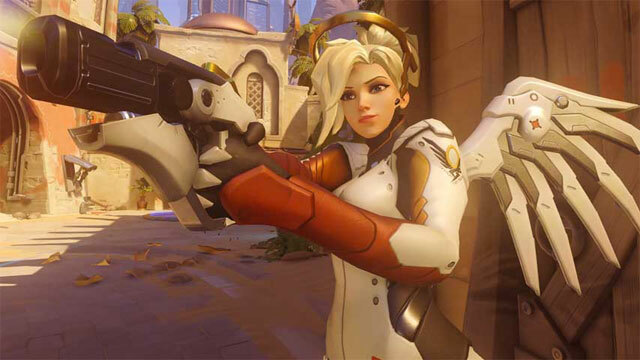 One team might make a push for a capture point in the last moments of the game, and use four ults at once to wipe out the enemy team – but it wouldn’t matter, because with a single use of Resurrect, Mercy could bring her entire team back. Mercy 2.0 brings more balance to the game. She isn’t underpowered when compared to other heroes, but the days when the whole game depended on when Mercy used her ult are finally over, and team strategies matter a bit more. Aside from improving the game’s balance, the new Mercy is a lot more fun to play. 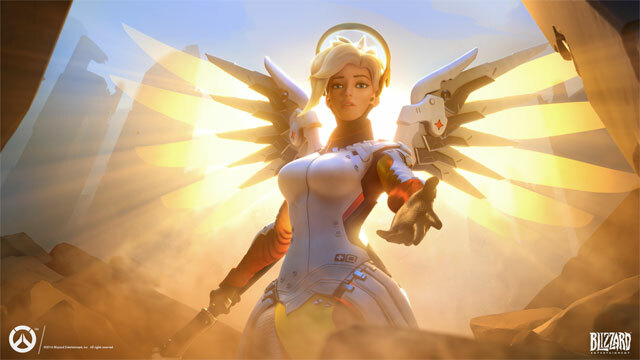 The way the game works encouraged the old Mercy to stay back and heal, and she very rarely did anything else. She depended on her team for protection, and healed from behind. Mercy 2.0 feels like a part of the team. She has to stay close to use Resurrect, so she can’t hide, even if she wanted to. She’s a part of the action now, and her new style of play is exciting, especially when she uses her new ultimate, Valkyrie. Valkyrie lasts for 20 seconds, and provides a huge boost to all of Mercy’s regular abilities. Offensively, she gains unlimited ammunition, a higher rate of fire, and a boost to her damage. Defensively, her staff beams will jump from the beam’s target to any nearby teammates, allowing Mercy to heal or damage boost multiple heroes at once. Resurrect’s cooldown goes from thirty seconds to ten, and on top of all that, she can fly.